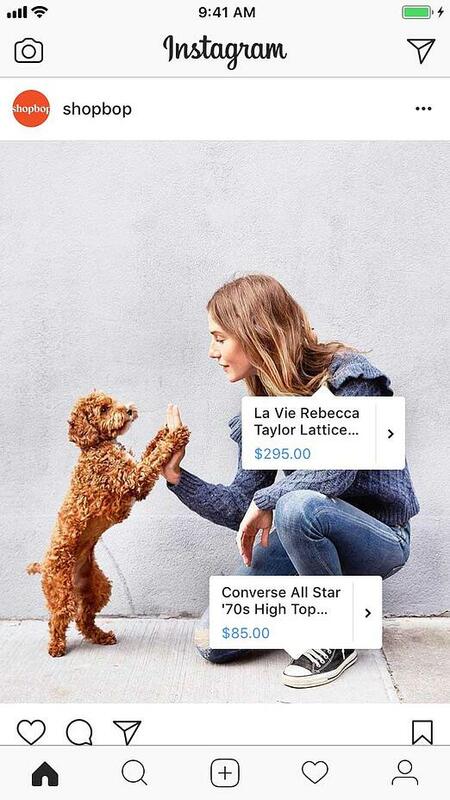 Instagram has now widely released shoppable posts, making transitioning from photos to purchase seamless. Any business account can tag up to five products in organic posts (twenty on carousels), pointing users to their ecommerce product feed. Users then tap on these tags and are led to a store where they can buy products. The potential for this feature cannot be overstated given that around 60% of users say they discover products within Instagram. Since this feature is completely free, and requires no spend on ads, it's worth taking advantage of today. Make sure your business sells physical goods complying with Facebook's merchant agreement and commerce policies and that you have a business profile on Instagram. Go to the Business Manager account that owns the Facebook Page linked to your Instagram business account. From your Business Manager account, create a new catalog. If you don’t have a Business Manager account for your Facebook page (the easiest way to check this is whether or not you see the alert in the image below when you go to your Facebook page) there is also a way for you to create a product catalog following these instructions. Larger ecommerce providers using more sophisticated software like Magento to manage their storefront will be pleased to know there are Magento extensions available for generating Facebook product feeds to place within your Product Catalog. So for Magento users, you should be able to import your products with relative ease. Product Catalogs only work for businesses that sell physical products, using the catalog for nonphysical products currently violates Facebook’s rules for merchants. If you create at least nine shopping posts using an Instagram for business profile, this will turn on a "shop now" tab for your audience visible below your Instagram posts. Make sure you’re in a location where Instagram for ecommerce works. Keep track of your success on the analytics tab on your Instagram profile. We're recommend you add all of your products to your Product Catalog. This will give you the chance to create future posts and ads based on any product. Use this shopping channel in conjunction with feeds like Google Shopping Feed to get the most out of your shopping channels. You can tag products in both new and existing posts on Instagram, so once you've set this up it's worth going back and tagging products in old posts too. Given that over 300 million people use Instagram stories every day, it's no wonder Instagram plans to roll out the ability to also tag stories with products. This is currently being tested. Directly linking your audience through to your products on Instagram means that retailers can utilize the power of the platform to instantly convert engaged followers into customers. Gone are the days of telling your audience to hop over to the link you have in the bio (at least, not all the time), or trying to work out a clever text call-to-action that's going to result in sales. 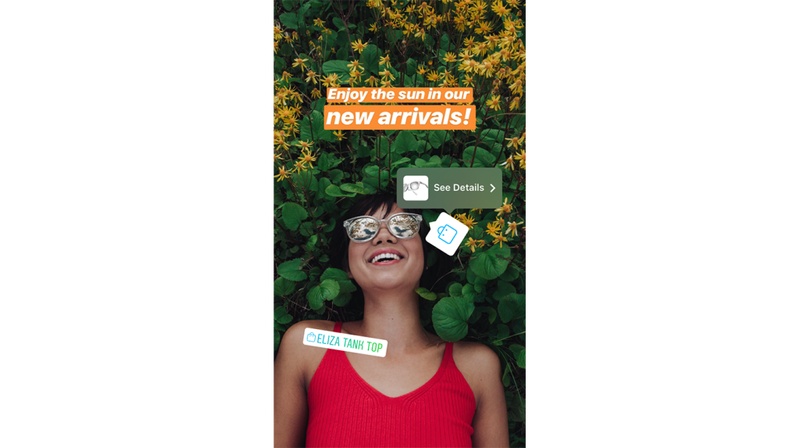 Your calls-to-action in Instagram posts can now be embedded in the images, allowing for you to focus on creating text and visuals that tell a story that appeals to your audience on an emotional level. While product tags on Instagram speak to the decision stage of the buyer's journey, not everyone is going to be ready to make the purchase today. There are a number of ways you can speak to your audience who are in other stages of the buyer's journey both on your ecommerce site and on social media. We're particularly keen on using social media to encourage people to interact either with a topic or with each other. Running polls, asking questions and offering incentives for interaction can be strong calls-to-action that aren't specifically sales oriented (importantly, only do this where algorithms permit — on Facebook this could actually hinder your reach). What are your tips for effective social media for ecommerce? Leave us a comment!